My Mum is amazing you guys, I mean seriously! With getting the tiny house and prepping for it and all she came up with the best idea for tiny kitchen organization! 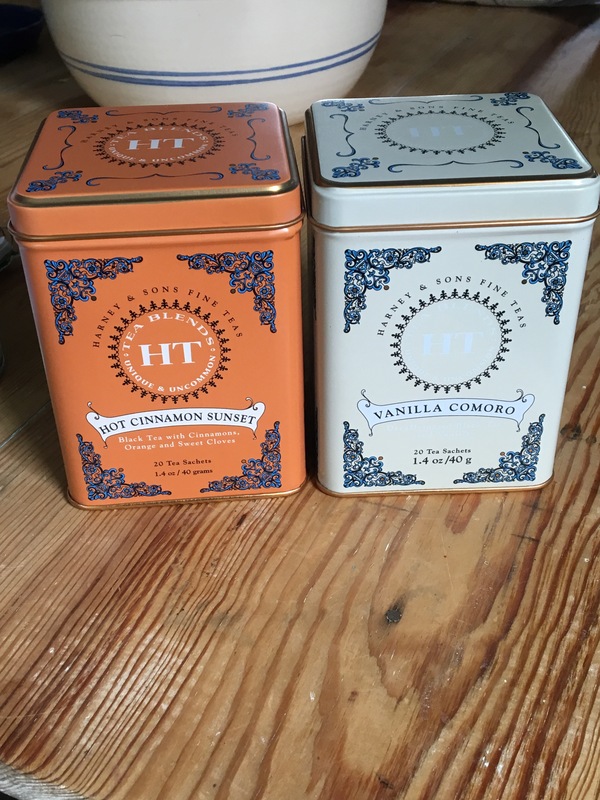 My Mum loves the Harney & Sons teas (as do I!) 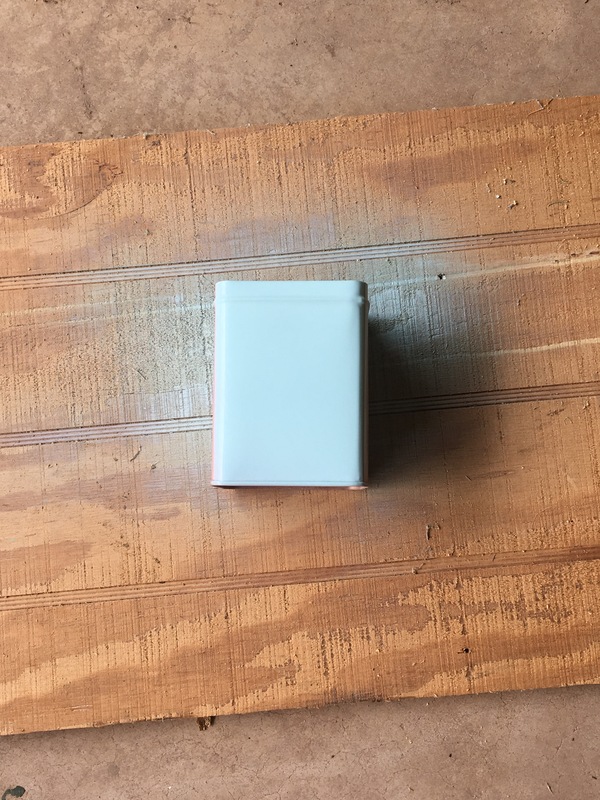 and they come in these little metal tins. 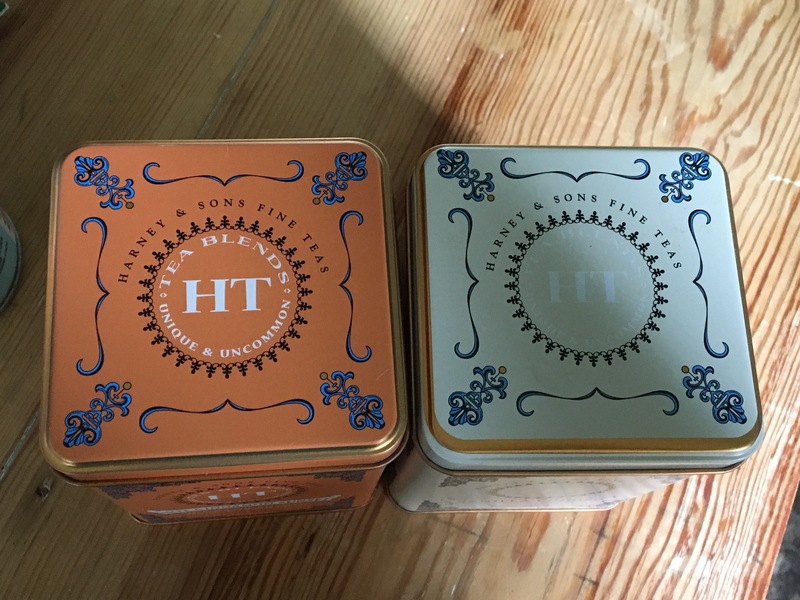 Mum gave me two tins and told me to save them to fix up and use as kitchen storage. I kept them and collected the others she had given me. I still had no idea what to do with them! One day when I was at my Mum and Dad’s, she gave me an idea for them. With her idea in mind I went to the store to buy some good metal spray paint. Voila! 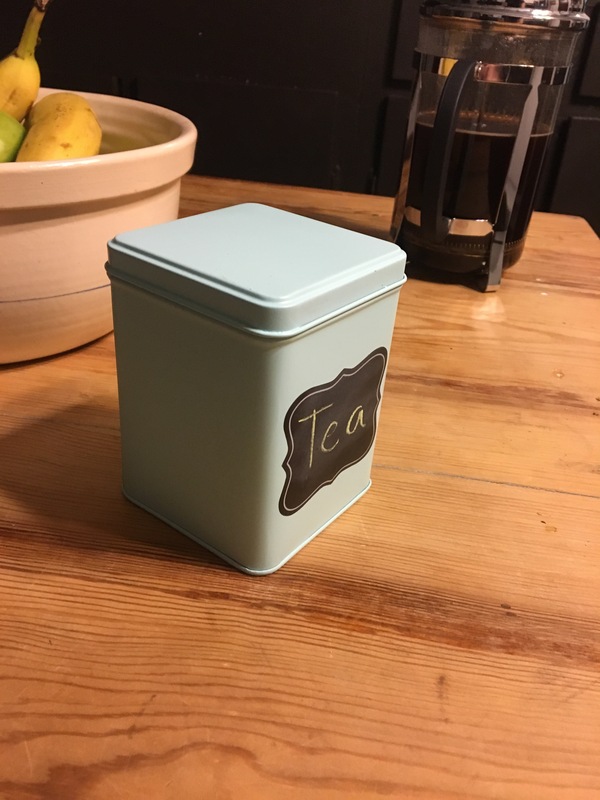 Adorable little storage tins with cute little labels! I love the way they turned out! I will definitely come back to Mum for more storage and DIY ideas! Thanks Mum! Not only is my Mum good at giving me ideas, she also has a blog! 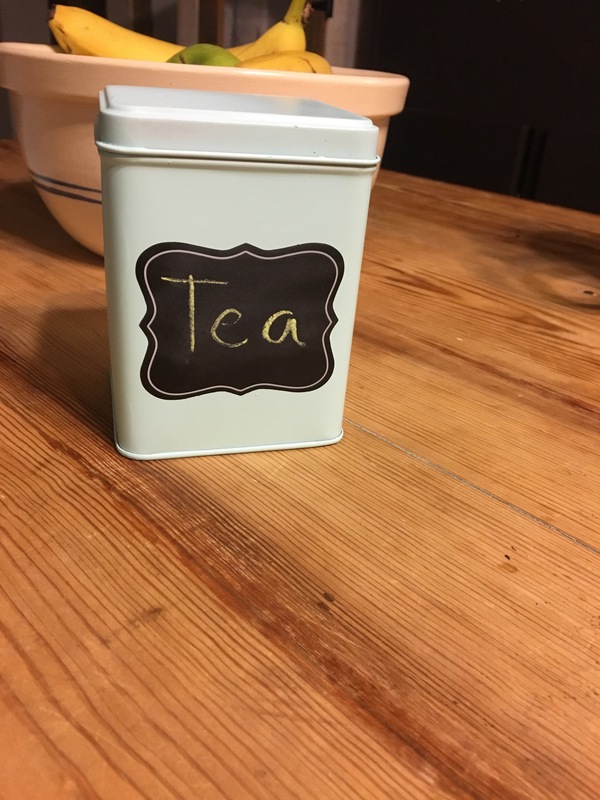 If you want to go look at her blog and see what other DIY’s, recipes, and decorating she has done over the years click here. I love the idea of reusing items and making my own decorating and storage things for my house. It will help give my home the look I want it to and will seem more me. Next Post Chloe’ Mae’s Cottage Is Here!